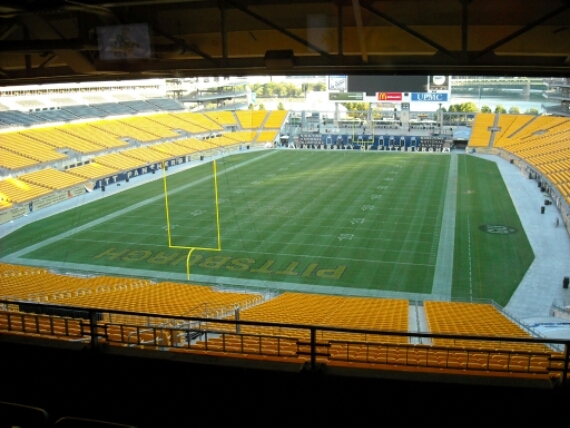 Steelers Looking to Host 2023 Super Bowl | "IT'S A STEELERS WORLD"! What better city is there to play on the “Biggest” stage in Professional Sports than “The City of Champions”? The Pittsburgh Steelers hoping to host the 2023 Super Bowl and has submitted an application with the NFL to bid for the spot, president Art Rooney II confirmed through a Steelers statement. The team formally applied at the owners meetings in May. Pittsburgh seats more than 67,000 fans at Heinz Field, which is plenty enough to support a Super Bowl crowd. The fact that the stadium is nearly 15 years old honestly should not matter. Bidding opens in 2018, with the official vote coming a year later. The NFL has allowed cold weather Super Bowls, with the Meadowlands hosting in 2014 and the Minnesota Vikings’ new U.S. Bank Stadium hosting in 2018, less than two years after its scheduled opening.